Increase technician productivity and efficiency, save time and dramatically increase revenue! Extremely customizable configurations enable personalization of tech workflow to your preferences. New techs get ‘on the job training’ with your best repair practices, while handling 80-90% of your bench work like a seasoned pro! Our 3rd generation d7x is available to all d7II subscribers. Learn more in the d7x Release Information. Visit the d7x Manual for all current product information and downloads. New techs get ‘on the job training’ to your guidelines, while handling 80-90% of the bench work like a seasoned pro! Bottom Line: Increase technician productivity and efficiency, save time and dramatically increase revenue! Subscribe to our newsletter to receive emails on the latest big news about d7x and other d7xTech products and current events! Data Backup, Tweaks, App Installations, and more! Because d7x is designed to allow technicians to work on multiple PCs at once (without missing a step and maintaining consistent results) licensing is per company, per user (NOT per-PC/etc.) therefore one user license allows use of the software simultaneously on as many PCs as the user wishes. 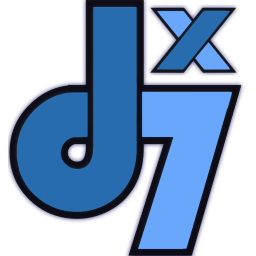 d7x Subscriptions allow all usage, support, updates, and hosted cloud access for the subscription term with one user license. Monthly Subscription Plans are a great opportunity to try out d7x without a long-term commitment, plus your account can easily be transferred to an Annual Subscription Plan any time down the road! The Multi-Tech (12) License Upgrade allows your company to license up to 12 employees (total) with this monthly subscription. Being designed to fit every workflow, d7x is as configurable as it is powerful. An annual subscription is a great way to show long term just how much it's powerful customizations will benefit your business! Includes 25 resell-able CryptoPrevent White-Label 1-year licenses each year of your annual subscription! The Multi-Tech (12) License Upgrade allows your company to license up to 12 employees (total) with this annual subscription or 1 year license term purchase. Includes 25 resell-able CryptoPrevent White-Label 1-year licenses! Visit this page for all “Single Pay” multi-year/multi-license purchase options. If you have an existing annual subscription, PLEASE CONTACT US to purchase your “Single Pay” license upgrade. Only currently active annual subscribers are eligible for the Single Pay upgrade. Former subscribers must purchase a new 1-Year term with the Single Pay upgrade from this page. Note these options do NOT ‘lock in’ the annual licensing rate, which is subject to the current pricing agreement and terms for manual license renewal at the time your renewal is due. Visit this page for purchasing an annual subscription without automated/recurring billing, or to renew any previous non-renewing or “Single Pay” purchase for another fixed term. These purchases REQUIRE MANUAL RENEWAL by each anniversary date of the original purchase, to maintain an active subscription account and avoid service disruption. Now included with ALL d7x subscriptions! dSupportSuite “Digital Business Card” Included! d7x now includes the dSupportSuite client software for you to install a branded “digital business card, with a purpose” on each customer PC, keeping your company branding on their PC while giving them a reason to see it. dSupportSuite serves the customers “need” to have a maintenance app, keeping them from downloading whatever they see on the internet that could be harmful. dSupportSuite also contains a few useful d7x based features and repairs, such as performing networking fixes to solve internet issues for them, keeping them reliant on your brand in times of need, and keeping your phone number at reach just in case. Includes the client software only; does not include dSupportSuite Mgmt Console and remote config deployment/management features. d7x now includes 25 resell-able CryptoPrevent White-Label 1-year licenses for each year purchased! For the annual subscriptions you get 25 licenses right away, and you can contact us for a new 25 pack of licenses EACH year your license renews. For fixed terms, you get 25 per-year also, so the 3 year gets 75 licenses and the 5 year gets 125 licenses! Take a break, maybe grab a coffee. Come back later, d7x can let you know when the work is done. We know that was easy, but don’t forget to bill your customers!